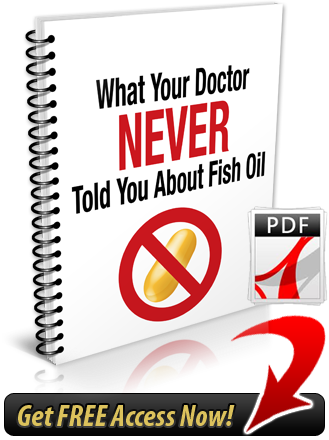 Jaylab Pro :: Krill Oil Special Report | FREE Health Report pdf | What Your Doctor NEVER Told You About Fish Oil? click here for details If you order a JayLabPro SmartShip product or any Combo Package, we will automatically ship you a new supply of the product or products you have ordered every month, starting 30 days after your initial order is shipped, and continuing until you cancel. The credit card you are using today will be billed the lowest available price for those product or products when your order is shipped, but shipping will be FREE. You may log into your customer account or call our customer service department toll-free at 1-888-9GETPRO (1-888-943-8776) between the hours of 8am – 9pm EST Mon-Fri to cancel future shipments, customize the timing of your shipments, or change the credit card used for billing. We’ve just finished researching and writing a simple (but very powerful) health report that will be sure to ruffle some feathers. You see, most people – doctors included – have no idea the potential dangers swimming inside their bottle of fish oil. If you do just one thing this month to improve your overall health and well-being it needs to be reading every word of this shocking special report TODAY! How some fish oils may be elevating levels of oxidative stress in your body and increasing your risk for advanced aging and disease! The mega-powerful carotenoid found in the best sources of essential fatty acids – but probably not YOUR bottle of fish oil! Just enter your email address below and we'll send you this FREE report. There's absolutely NO obligation, and you can unsubscribe at any time with just a single click. By clicking the above button, you agree to the terms of service.